Prime Minister Cesar Villanueva said Sunday that Peru was "not prepared" for the huge flow of migrants streaming in from crisis-wracked Venezuela but insisted that his country would stand in "solidarity" with the arrivals. He compared the influx to a sudden "gust of wind," with more coming every day. But while Peru has imposed tougher border controls to cope with the wave of migrants -- generally requiring a passport and not simply an ID card -- Villanueva confirmed that there would be exceptions for pregnant women, people older than 70 and children joining their parents. Peru had earlier partly reversed course on the passport requirement, saying it would still allow entry to those seeking asylum. On Saturday, Peruvian authorities allowed hundreds of Venezuelans without passports to enter through the northern border post at Tumbes. They were required to fill out refugee applications, allowing them to remain legally in the country. Still, Peruvian migration officials said Sunday that in the first 24 hours the passport requirement was active, 1,630 Venezuelans entered Peru, less than half the previous daily average. Villanueva said Peru would be coordinating with members of the 14-nation regional Lima Group on needed steps "to better organize support for migrants." Peru has one of the region's fastest-growing economies, with 4.7 percent growth projected for next year. But anti-immigrant sentiment is on the rise, and stricter requirements for Venezuelans enjoy popular support. An estimated 400,000 Venezuelans are already in Peru. 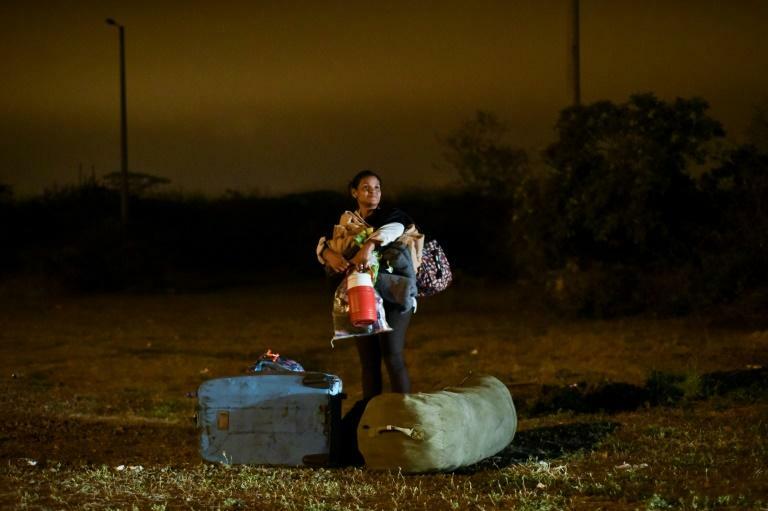 According to the UN, as many as 4,000 people have been arriving daily in Ecuador, Peru, Colombia and Brazil, where migrants have been violently turned back by locals concerned with increasing crime. Venezuela is in a fourth straight year of recession, with double-digit declines in its gross domestic product. The inflation rate there is expected to reach a stunning one million percent this year, according to the International Monetary Fund.